We congratulate Century 21 Celli Agent Frank DeGeorge. 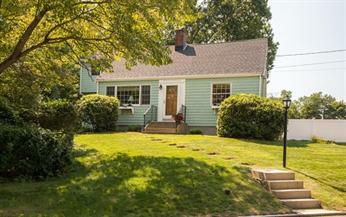 Frank has very satisfied sellers of this Butler Avenue property in Stoneham which closed on October 18 for $15,000 over the asking price! Call Frank to assist you in buying or selling your home. He will work just as hard for you! Frank can be reached by cell at (781) 775-0238, at the office (781) 438-1230, or click here to visit his Facebook Page.